California golden trout; photo © Graham Owen Gallery (all rights reserved; used by permission). The golden trout is native to California, originally found only in a few icy streams of the headwaters of the Kern River. 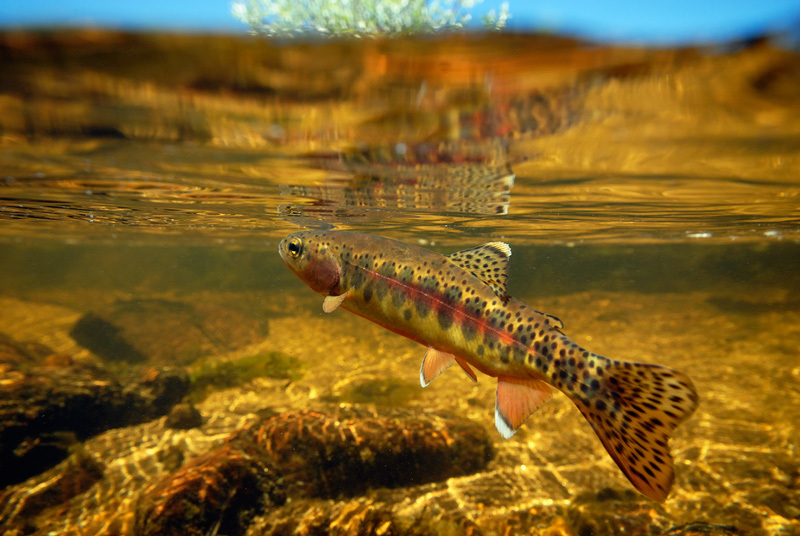 Hatchery-raised fish have now extended the range of the California golden trout to many waters at high elevation in the Sierra Nevadas and also other states.